Exeter Central (Queen Street) & Exeter St. David's (Bonhay Rd). Stagecoach route 'C' St David's Station to Sandy Park Stadium. 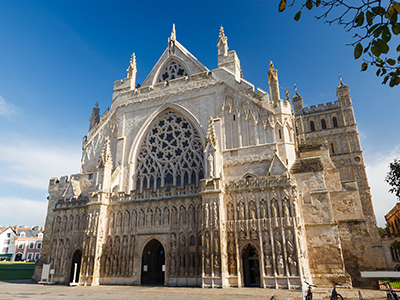 Buy an Exeter PLUSBUS ticket for travel on Stagecoach route 56, from Exeter St. David's station to the Airport terminal. Buses run each hour daytimes, with a journey time of around 25 minutes.